CLW8026 Blessed with a body like an hourglass? Good for you girl. PLT Shape is designed with you in mind, with a few figure and curve enhancing tweaks to give you the perfect fit. 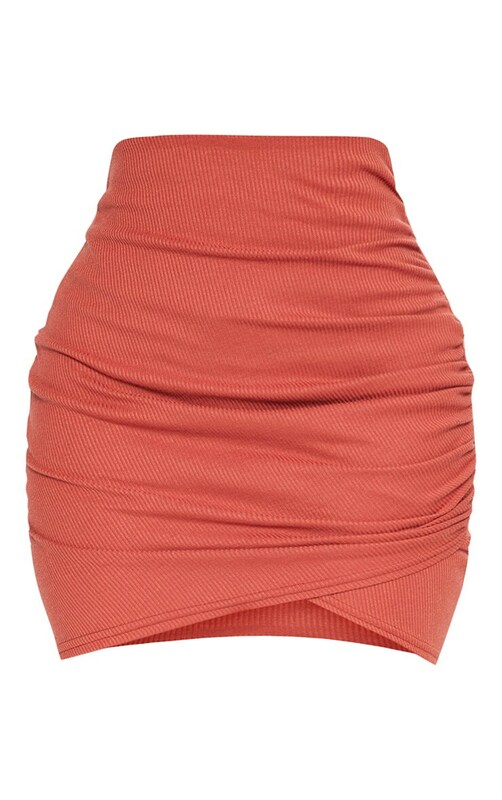 This skirt is all kinds of goals girl, featuring a rust ribbed fabric with a flattering shape, this bodycon skirt is perfect for nights out with your besties. Style it with the matching ribbed crop top and sky high heels for a killer look.